Health care is a basic and essential human need in every part of the world. Regardless of the fact that a person in ill or not, regular checkups are good personal habits. In Pakistan there has been a rampant growth in the health care sector. One such startup NGO, which has been the forefront in providing facilities to the down trodden particularly women and children, is HOPE- a Health NGO in Pakistan. Providing world class health care facility is an obligation on HOPE- an NGO in Pakistan. Having said that, it has three main secondary hospitals, two of which are in Karachi and one in Thatta. 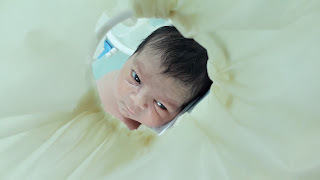 A number of medical and surgical facilities and services are provide some of which are as follows: Labor rooms, Maternity services, X-Ray, Blood Bank, Laboratory, Gynecologist Surgeries etc. HOPE hospital in Karachi as well as Thatta has been constructed with the help of the Japanese government. 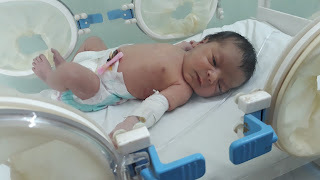 HOPE hospital in Thatta stands out for its unique facilities as no other Hospital existing there contains a Blood bank or an ante-natal care facility. Thatta hospital caters to the rural areas by providing the best team of paramedics which are on call 24/7. HOPE organizes a weekly mobile medical camp that covers as many as 26 Goths on a rotational basis. On each visit as many as 100 individual patients consisting of men, women and children are examined and annually approximately 26,000 patients are seen. HOPE also has a Basic Health Unit in Sujawal Hospital that has started providing patients with secondary healthcare facilities, including a fully equipped operation theatre, 24 hours emergency services, ante-natal care facilities and ICUs. HOPE, under the guidance Dr. Mubina Agboatwalla- a child specialist in Karachi, has been collaborating with national and international organizations such as: The Japanese Embassy, Procter and Gamble private Ltd and Human Concern International, (HCI). The funds donated from these organizations has helped immensely in establishing hospitals in Karachi, Thatta and MHU in Interior Sindh. Ultimately it is clear that HOPE is playing a vital role in developing society, where women and children are being cured of diseases. 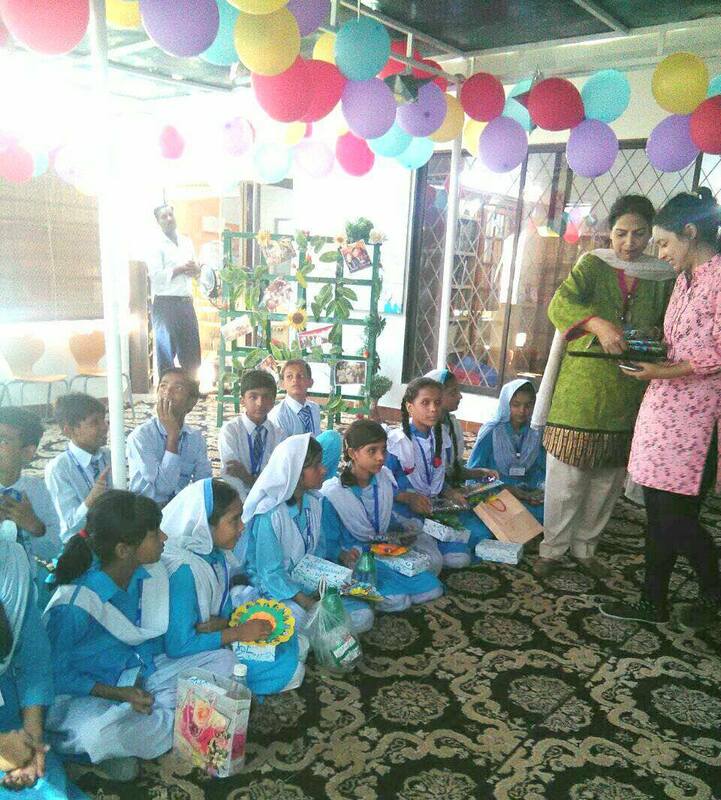 Representative of Japanese Embassy visits Muzafargarh school. 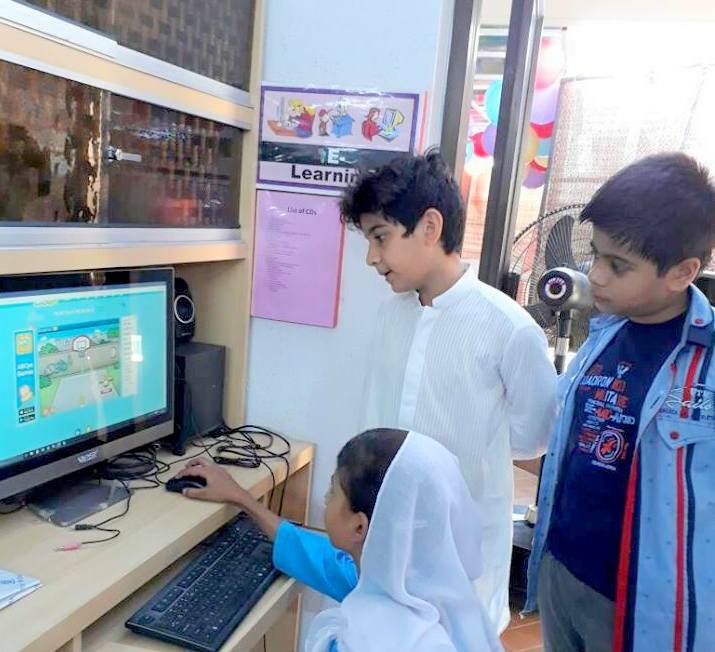 HOPE- an educational NGO in Pakistan, has been a forerunner in providing high quality education to every nook and corner of Pakistan including those remote areas where no schools exist. HOPE facilitates over 13,000 children all over Pakistan and also serves specific underserved children. 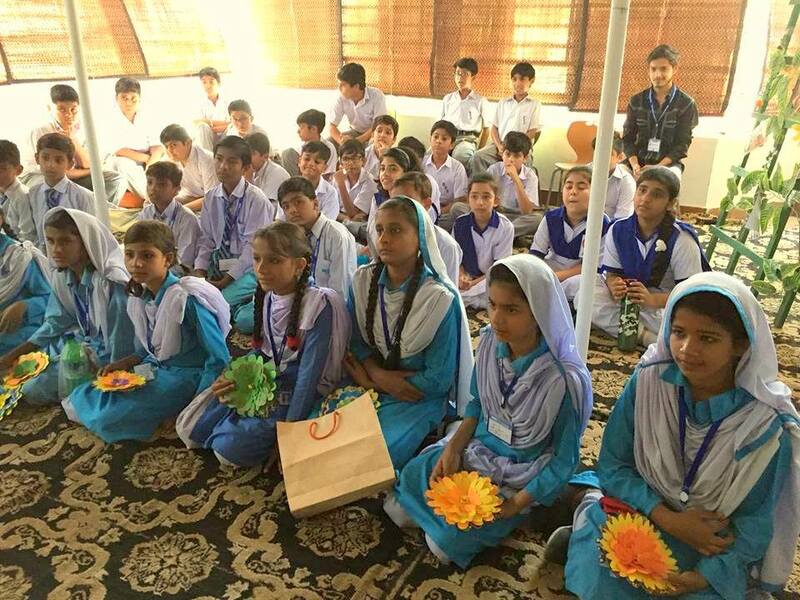 HOPE- a charity in Pakistan is always looking for opportunities to develop the society in whatever way possible. 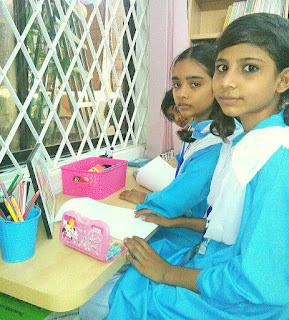 One of them is Government of Japan which had funded HOPE to establish a Formal School in Karachi and later for the expansion of school. 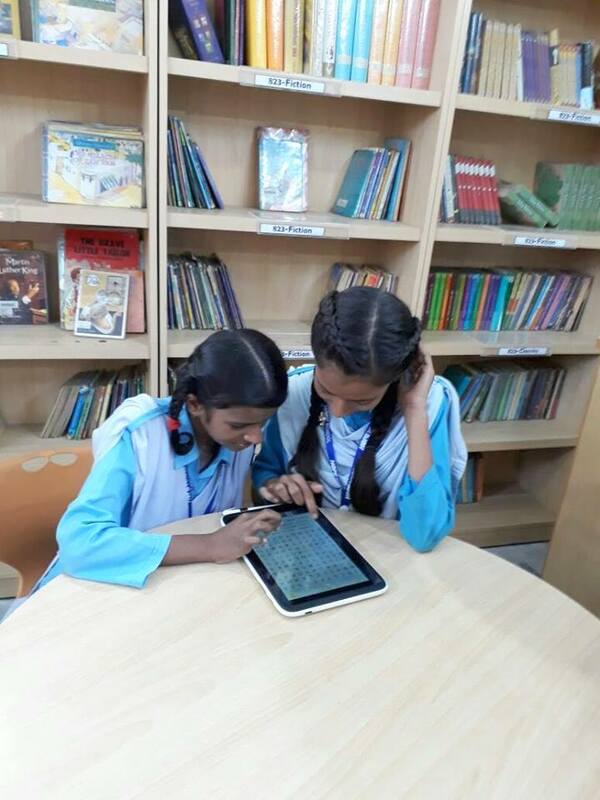 Now the Japanese Embassy is looking into contributing to HOPE’s Muzaffargarh School by expanding it further and so asked for a detailed infrastructure report on the construction of the school. Recently, a consultant of the Japanese embassy, Mr. Hatori, visited Muzaffargarh School to examine and observe the system of education there. 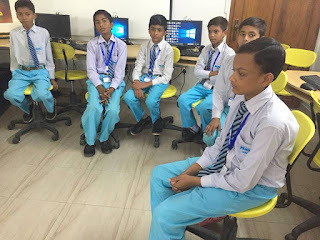 He was content to see HOPE’s middle school which has been functioning for 7 years now, providing high quality education to both boys and girls. 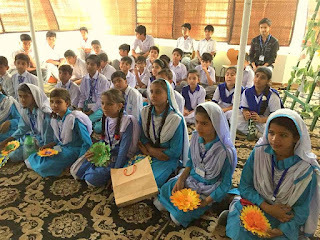 Muzaffargarh School educates nearly 400 children whilst most are orphans. 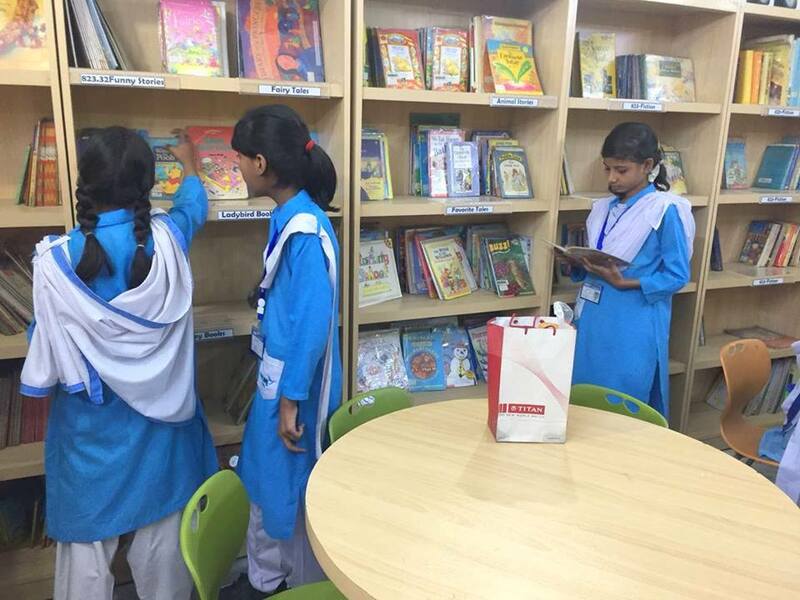 Books provided are free of cost and extra-curricular activities are highly encouraged. Mr. Hatori was stunned by the immense work being done in the field of women empowerment specifically in women vocational training areas. The students and teachers welcomed the representative of the Japanese Embassy very warmly. Teachers were asked about the syllabus methodology, attendance, results etc. 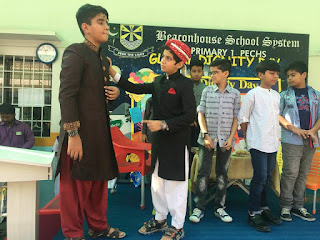 And the students were also randomly asked questions from their syllabus and those pertaining to recent happenings around the world. 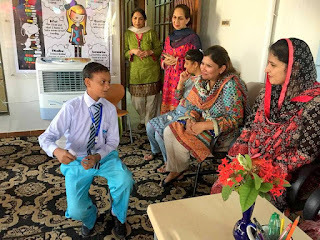 Dr. Mubina Agboatwalla- a child specialist in Karachi, facilitates and welcomes all such visitors who show interest or work for the betterment of the society. 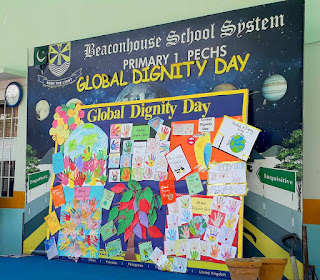 HOPE an educational NGO, has been celebrating global dignity day since a few years now. It is usually celebrated on the third Wednesday of October. 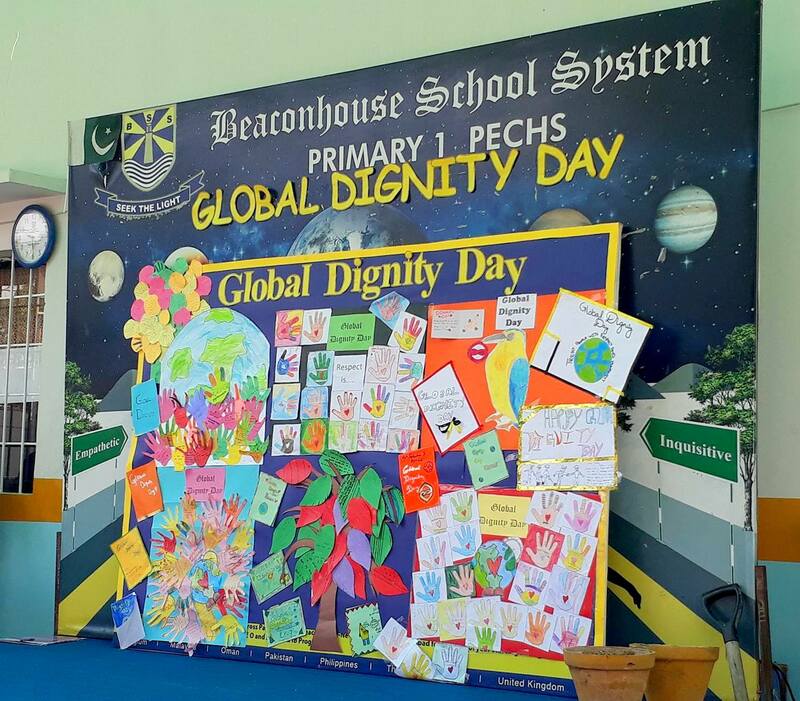 Global Dignity Day is an initiative to educate and inspire young people and help them understand their self-worth and goals. It was established in 2008 and continues to grow in popularity. 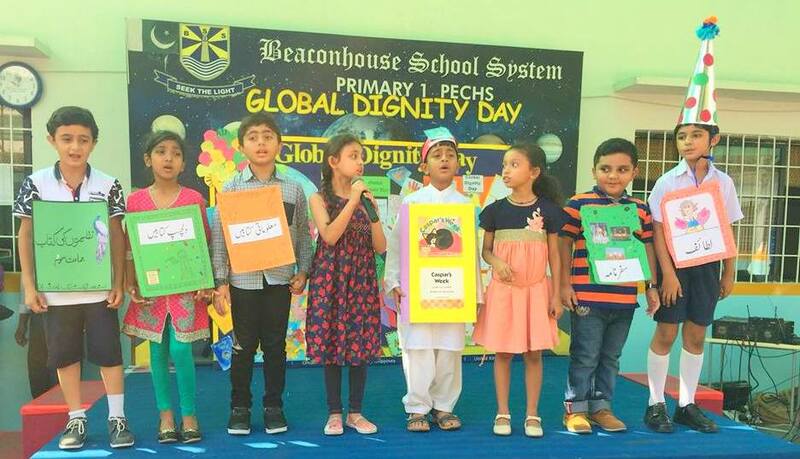 In the light of this theme, Students of Beaconhouse School P.E.C.H.S campus, prepared skits and sung melodious songs embodying what dignity meant to them. 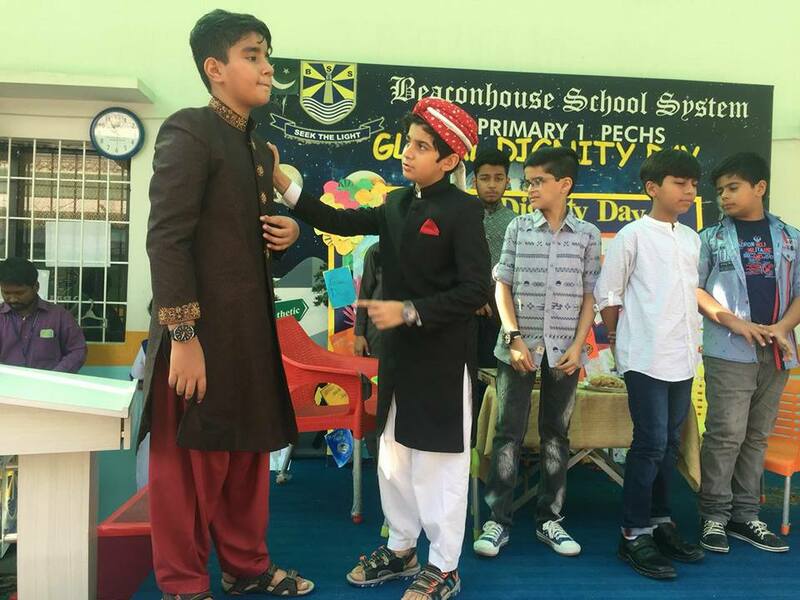 The students were encouraged through a speech given by the principle to stand up for their rights and understand their self-esteem. 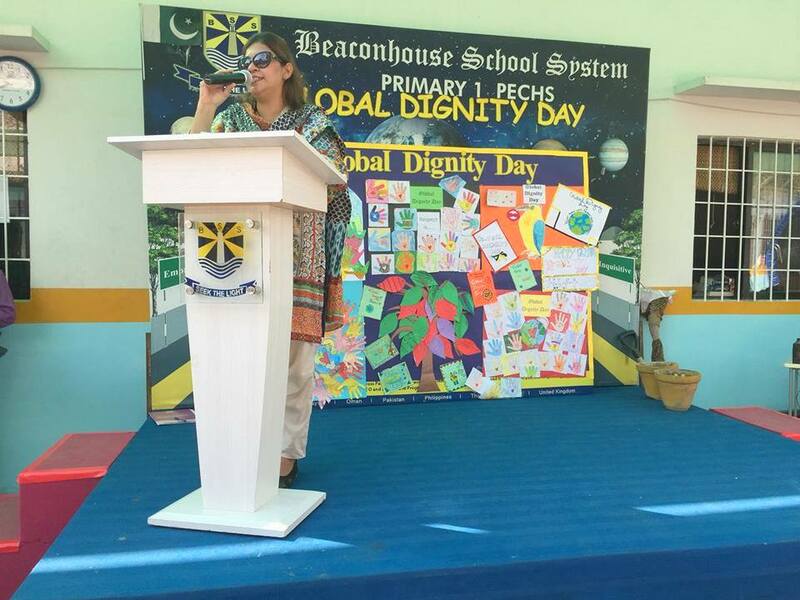 The Beaconhouse school management invited HOPE’s school children along with their principal, Ms. Aisha Noorani as a guest speaker to discourse on the philanthropic work of HOPE- an NGO in Pakistan under the leadership of Dr.Mubina Agboatwalla-child specialist in Karachi. Towards the end of this joyful event, all the students present at the occasion were distributed lunch boxes and were made to interact with each other by participating in activities such as artwork, working in computer labs and playing games. All in all the students were elated to have experienced a day such as “Global Dignity Day” where they learned about dignity and all that that entails: self-respect, ambition, hard work, a feeling of accomplishment. At the end of the day students gathered for a round of storytelling and gift distribution which was a cherry on the top for these ecstatic students. 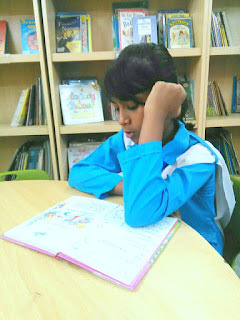 Education has, at all times, been the forefront of Hope’s mission. 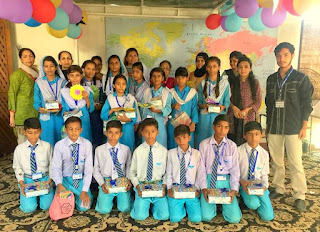 Hope- an educational Ngo in Pakistan proves to be a “ray of light” that has lit up lives of many underprivileged masses of Pakistan. Emphasizing on the most important issue i.e. 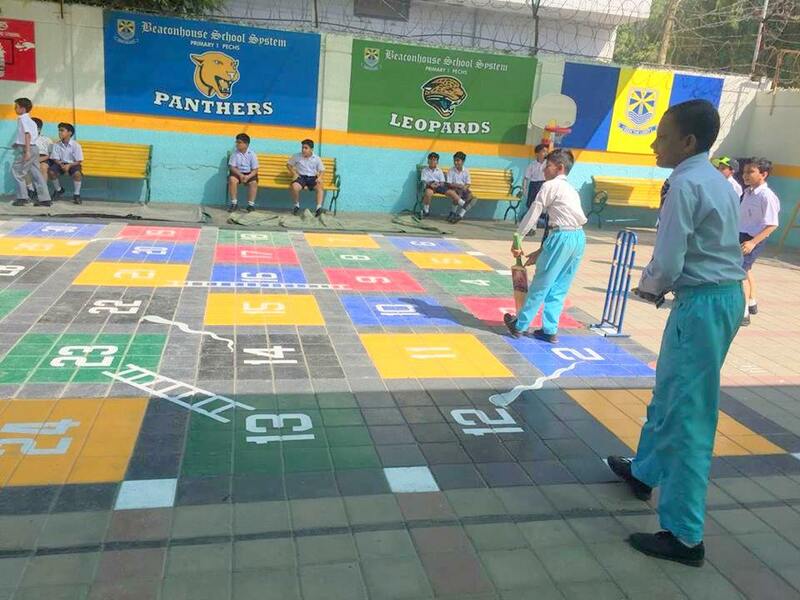 providing education and propagating welfare of the downtrodden in the society. 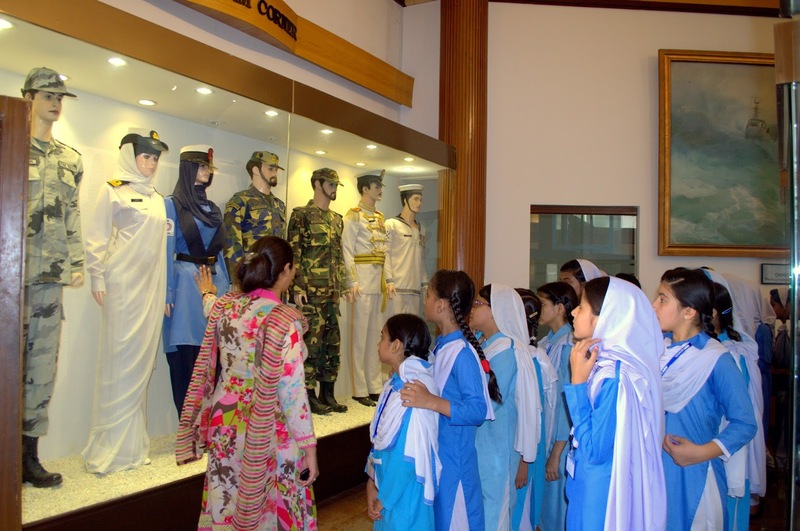 Recently 40 students from HOPE school belonging to classes 6, 7 and 8 embarked on a field trip to Maritime Museum under the supervision of four teachers and two representatives of HOPE. Pakistan Maritime Museum is a naval museum, naval aptitude, and park established in naval land parcel in Karachi, Pakistan. 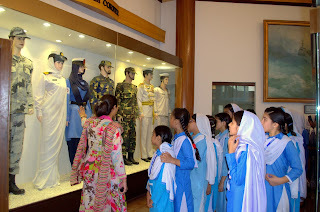 The orientation lobby has been incorporated for the visitors to gather information about the Pakistan Navy by operating easy-to-use touch-activated state-of-the-art computerized Archive Retrieval System. Inside this museum exist numerous sections for instance light house, marine life gallery, maritime history gallery, museum lakes and the whale skeleton. 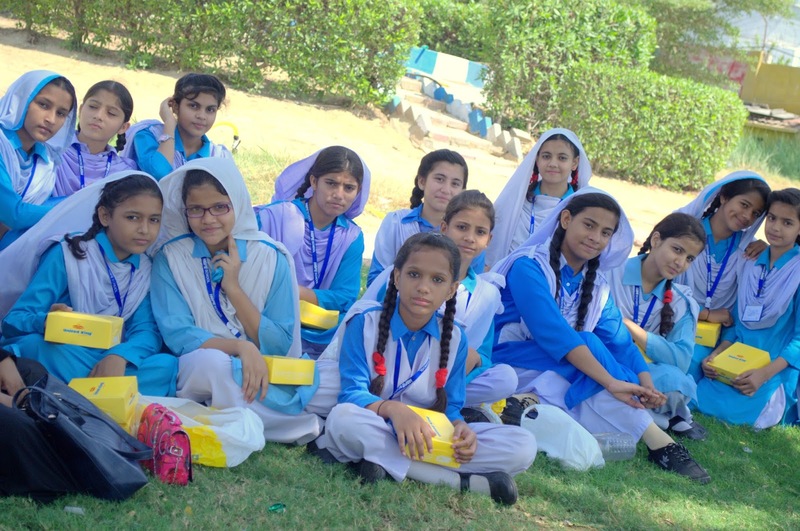 The students were amazed and ecstatic by the documentary shown to them in the planetarium regarding constellations, planets and the solar system. The field trip ended with distribution of lunch boxes to each of the students. They definitely went home with a treasure of knowledge of the mysteries of the unimaginable universe. 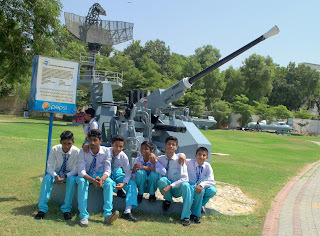 The whole field trip was sponsored by Target, an American chain, which has in the past collaborated and sponsored copious events. 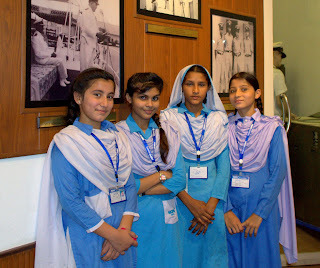 HOPE- an NGO in Pakistan, regularly takes their students for field trips and exhibitions etc. in order to expose them to different experiences and aspects of the world around them as these trips and visits are recognized as important moments in learning. 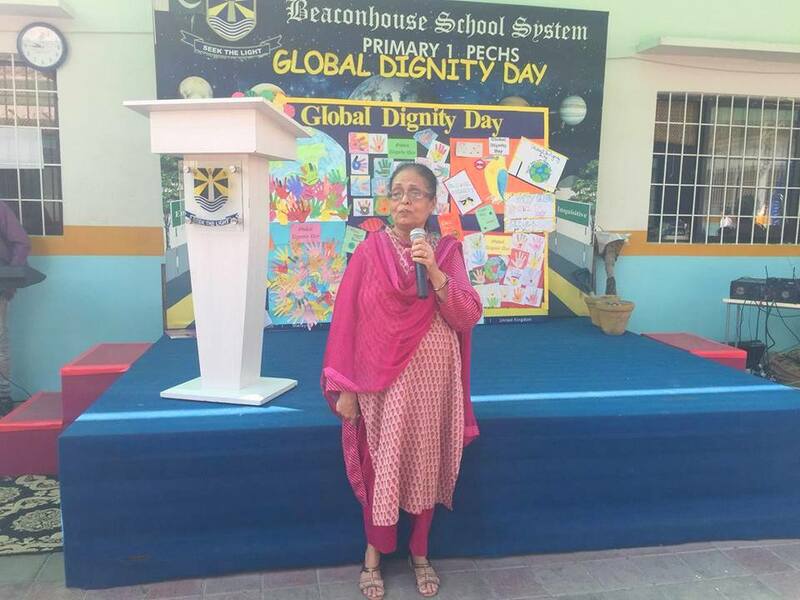 Dr. Mubina- a child specialist in Karachi, an ardent philanthropist who initiated the HOPE Ngo for primarily imparting knowledge to the uneducated masses and has been extremely successful in this over the past years through the commencement of uncountable hope schools.